Remember to change your smoke and carbon monoxide detector batteries when you turn your clocks back one hour late tonight (Saturday, October 31, 2015). 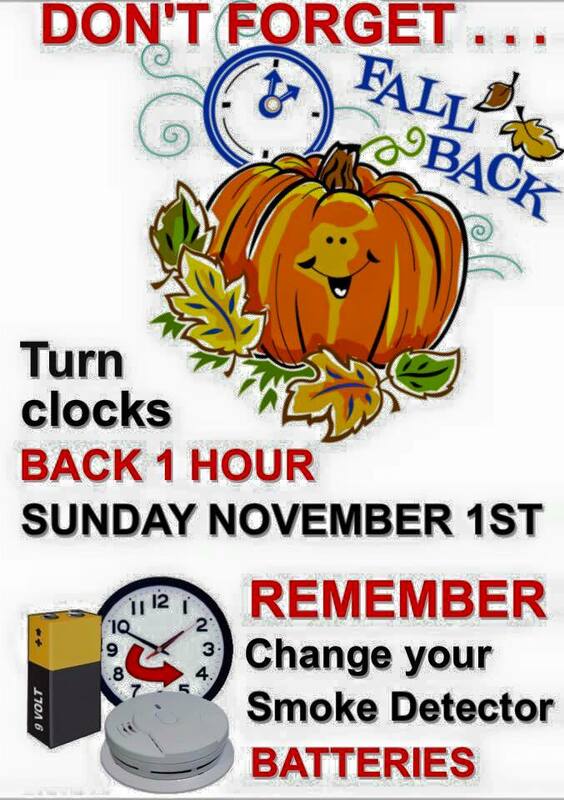 Officially, times goes back one hour at 2 AM tomorrow (Sunday, November 1, 2015). Click HERE for more history and other information about daylight savings time via Wikipedia.